Unless you’ve been living under a rock, you would have heard all about the latest craze to have taken the world by a storm. It involves everyone from teenagers to grown men & women running around chasing an assortment of pixelated creatures. Yes, we’re talking about Pokémon Go. It’s like 2003 all over again. Originally conceived as a video game franchise for the Game Boy console by creator Satoshi Tajiri, an anime Pokémon series followed in 1997, quickly becoming one of the most watched shows on TV. Created by Niantic, Pokémon Go has turned into an overnight sensation, with the internet flooded with stories of players going to outrageous lengths to catch their beloved pocket monsters! One story is that of Tom Currie, who quit his day job to travel New Zealand in search of wild Pokémon. Another story is of a young woman named Shayla Wiggins, who was hunting for wild Pokémon in her hometown when she was led straight to a floating human carcass on a river. The most recent story was that of the New York stampede, where Central Park saw a wild Vaporeon spawn and a huge crowd turn up to catch it. The game has been downloaded on more Android devices than has Tinder and is close to surpassing Twitter as well. A blend of the real and the virtual. Why has this little game become so addictive? Well, many say it has to do with the game’s design, which blends & superposes the virtual world on the real. Surprisingly, the technology that powers the game is pretty straightforward – it uses the phone’s GPS to source information about the real environment, then places the game’s imaginary creations in the environment. This concept in itself is a leap into the future as developers will continue to explore what else the future will hold for virtual, augmented, and other realities. Interestingly, the Pokémon Go phenomenon has also had an impact on social media use. Many Go players have dropped off social media websites, preferring instead the game’s real-world interactions & exercise. Despite minor bugs and frequent server outages, the game itself is designed pretty well, according to an article by TechCrunch. The app builders have taken into consideration engagement, retention, virality, and have done a pretty good job of app monetization. 1. The Pokémon Go session time can be as long as the player wants it to be since there is always a way to increase the length by walking to more pit stops. 2. Each capture-session is unique — the angle of the Pokéball is different every time, the placement of the Pokémon is different and there’s also the opportunity to have this experience tied to the real world. 3. Unlike other popular gaming apps on the market like Candy Crush, the Pokémon Go app has no feature to extend the life of a session by inviting or reaching out to friends. The social graph is almost non-existent in Pokémon Go. Instead, your in-game social graph is an extension of your real-world social graph. 4. There may still be a lot being added to the monetization component of the Pokémon Go app, but as of now, it effectively utilizes every player attack to get users to make a payment. There is an option to extend the life of a session with more Pokéballs, speed up the growth curve by getting more Egg incubators, and increasing the array of potential Pokémon to progress further in the game. 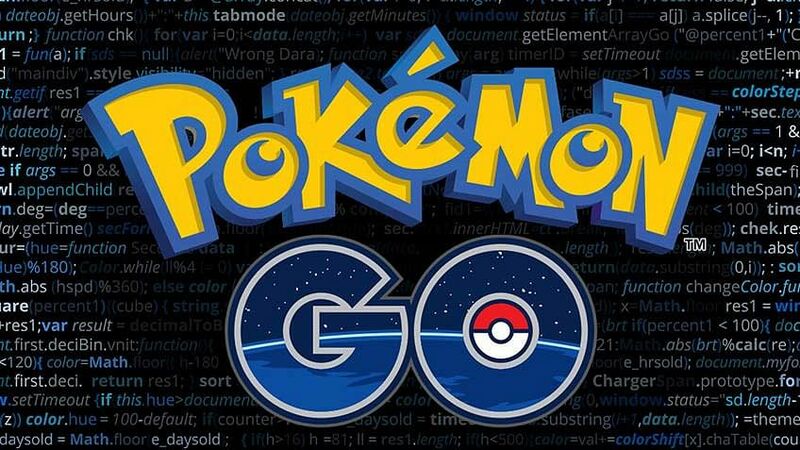 Pokémon Go has got app developers looking to the future and the radical developments to come in artificial intelligence, virtual reality, and more. Since a great deal of this future is going to be playing out on the smartphone platform, this is what app developers will be looking at. The Pokemon Go app has shown us that these smartphones don’t just end with their casings or their connections, but have the potential to seep into the real world as well. Developers who accept this reality are likely to be the ones who will be shaping the next tech revolution. Take up a certification in Mobile app development and get your skills up-to-date with the latest trends and developments. And who knows – maybe you could be the brains behind the next hit mobile game!